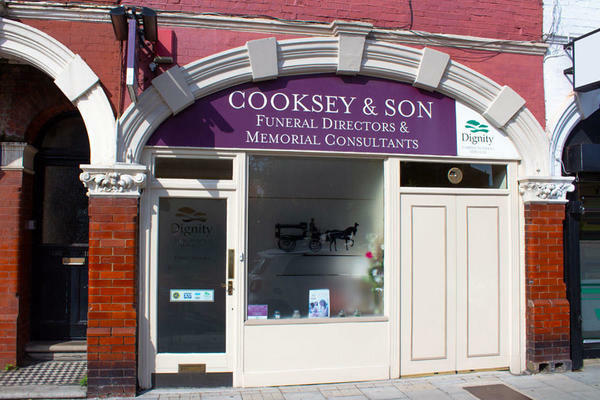 We are Cooksey & Son Funeral Directors in Muswell Hill, and we are honoured to be able to serve our community in London with uncompromising compassion and expertise. We have a deep understanding of the options you have and the decisions you need to make as we make arrangements for your loved one's farewell. We will give you as much choice as possible in order to tailor every detail to be personal to you, because we believe a funeral should be special and unique. We are Dignity funeral directors, which means you can put your trust in our impeccable standards of funeral services and facilities. Our quality of care is what we pride our service on; because we will do everything we can to help make a difficult time a little easier for you. Call us today on 020 8883 4844 to talk through your personal requirements. At Cooksey & Son Funeral Directors, we understand how special life is with those that you love. For us, every funeral is unique and personal. We have a service to fulfil every wish, with every detail carried out with the same uncompromising quality of care. From a traditional service, to a colourful woodland burial, your options are limitless with our Full Service Funeral. If you have a little more flexibility when it comes to arrangements, then we can provide a Simple Funeral for a lower cost. There is parking on the road outside. Please give us a call and we would be happy to advise you on parking. You can find our funeral home on Fortis Green Road, opposite Birchwood Avenue. Our staff are available 24 hours a day on 020 8883 4844 if you require our services outside of these hours.